an easy read, but beautifully presented! At the close of WWII, Aldred Leith is asked to report on the changing world of the Far East -- in particular, China and Japan. His travels bring him to Kure, Japan where he meetes the Driscoll family -- a family that will forever change his life. Written in a quiet, flowing style, Hazzard's descriptions of people and places are a thing of beauty. Not an easy read, but beautifully presented! Shirley Hazzard (1931-2016) was born in Australia, and in early years traveled the world with her parents due to their diplomatic postings. At sixteen, living in Hong Kong, she was engaged by British Intelligence, where, in 1947-48, she was involved in monitoring the civil war in China. Thereafter, she lived in New Zealand and in Europe; in the United States, where she worked for the United Nations Secretariat in New York; and in Italy. In 1963, she married the writer Francis Steegmuller, who died in 1994. 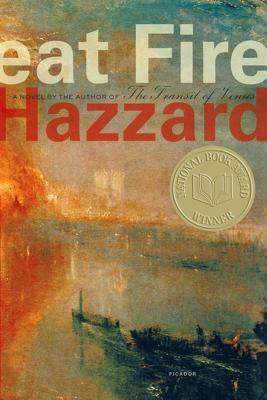 Ms. Hazzard's novels are The Evening of the Holiday (1966), The Bay of Noon (1970), The Transit of Venus (1981) and The Great Fire (2003). She is also the author of two collections of short fiction, Cliffs of Fall and Other Stories (1963) and People in Glass Houses (1967). Her nonfiction works include Defeat of an Ideal (1973), Countenance of Truth (1990), and the memoir Greene on Capri (2000). She lived in New York, with sojourns in Italy.